There may have been a leak. It’s the game on every gamer’s mind. A game that has had 30 minutes worth of trailers featuring absolutely nothing other than walking, carrying things, banal conversations, carrying babies in jars, and having terrifying invisible ink monsters gobble you up. But that’s enough about EA’s business practices, we are here to talk about video games. Sony managed to grab an exclusive horror game that may set the gaming world ablaze. 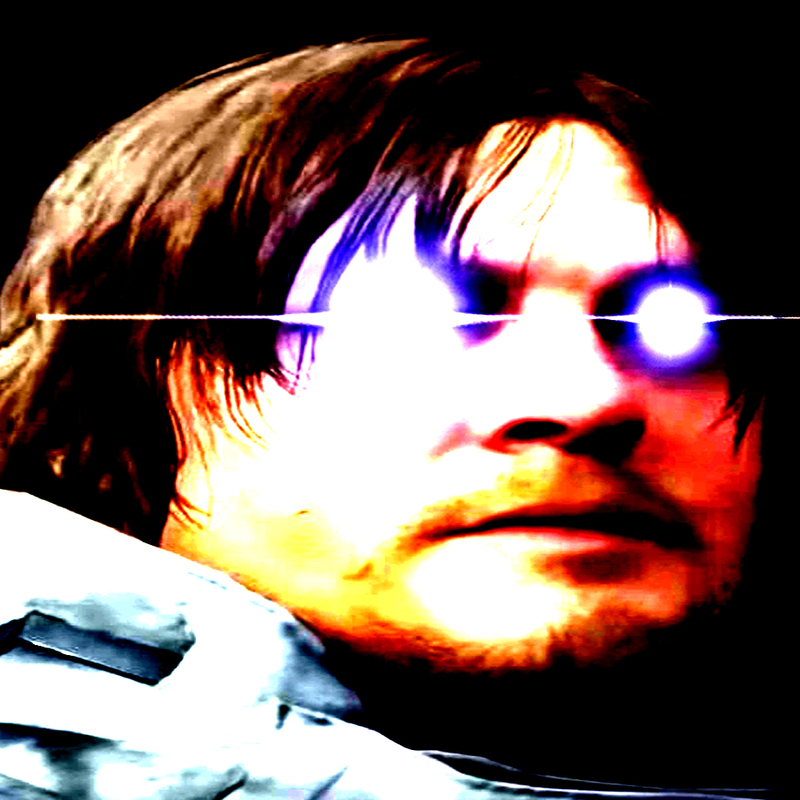 Death Stranding is on the horizon for the Sony PlayStation 4. This game is under the lens of every gaming news media outlet the world over. People want this game, even though they don’t know what it is. Is this truly a horror game, or simply a post apocalyptic US Postal Service? There are tons of theories on what type of game it’s going to be and you can find a bunch of videos about it. But fear not, that is not necessary, for a leak has unveiled a whole lot of information! It appears on a Best Buy listing, you can ask questions about products. One brave user asked the question we’ve all been wondering. 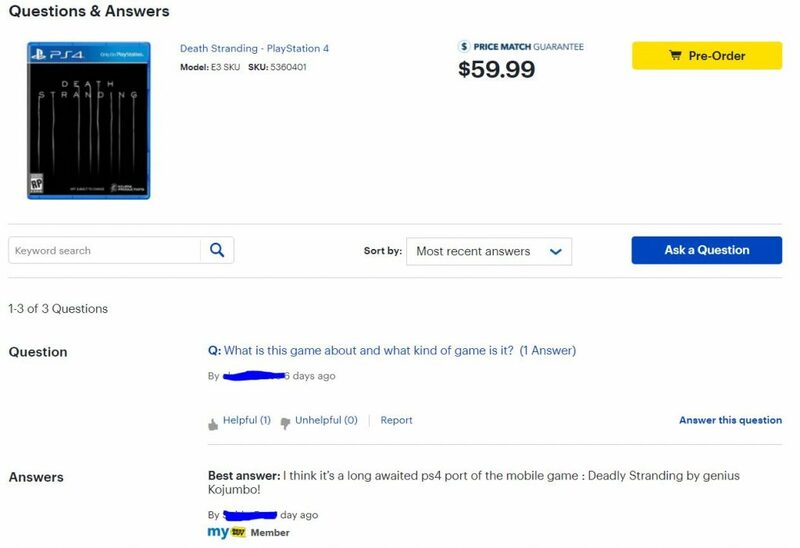 I think it’s a long awaited PS4 port of the mobile game: Deadly Stranding by genius Kojumbo! THAT’S RIGHT. You heard it here first! The infamous Hodeo Kojumbo, is the real brains behind this operation. Have you not heard of him? We got the scoop. And by we, we mean this other website. Yes, nobody has ever been able to figure out that Hideo Kojima’s actual game is to port his friend Kojumbo’s game to the PlayStation. A true playstation experience to be had indeed. With the power of PS4, we are going see a great port of this classic mobile game that everyone loves. We will bring you more updates as the story continues to unfold! Sorry, this story is actually some really lazy SATIRE. But the hyperlinks lead to the real news. And it actually does involve Best Buy.